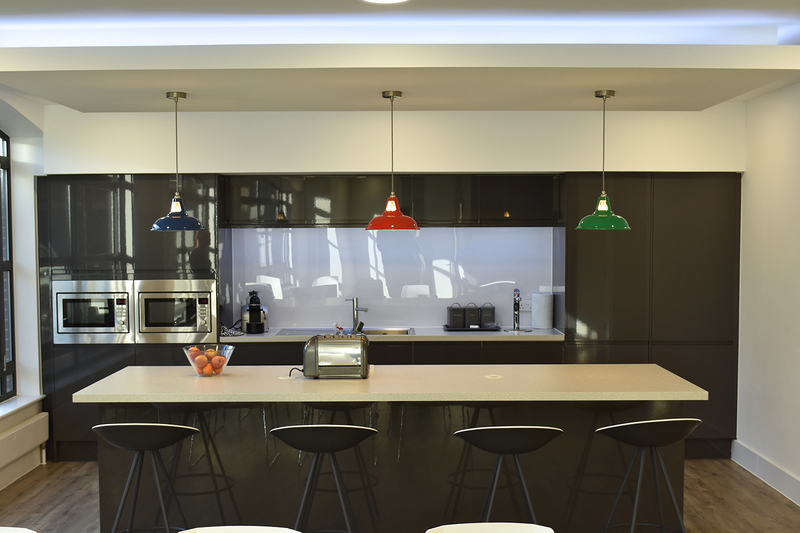 This workplace interior for financial group Hilton Baird features our Coolicon Industrial Pendants. 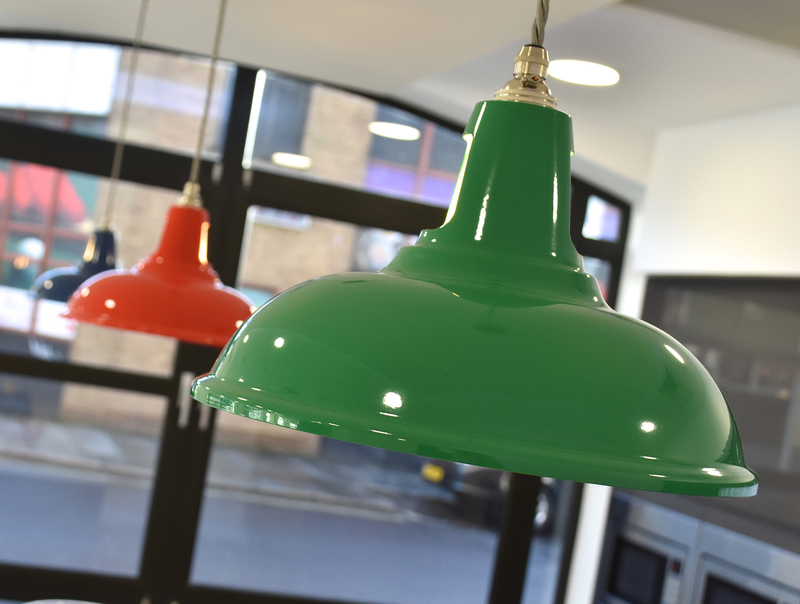 The client chose bespoke RAL colours for the powdercoated finish, selected to match the company branding perfectly. 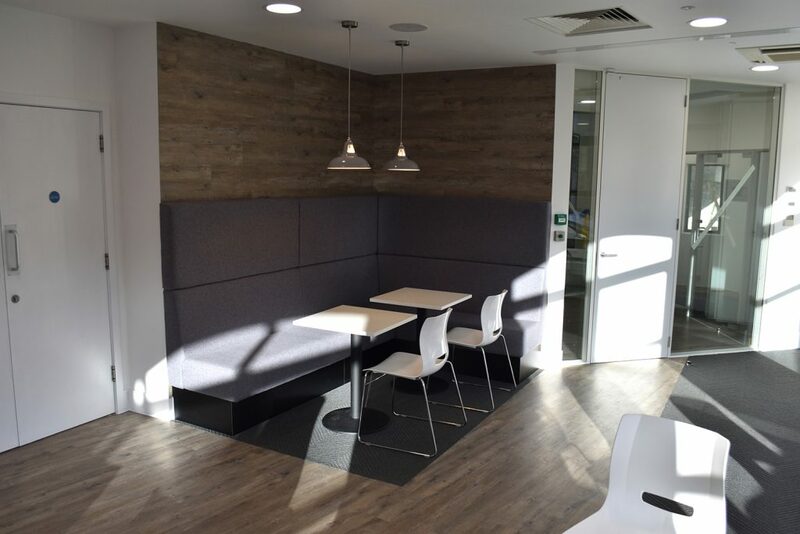 We completed this bespoke project in December 2017. 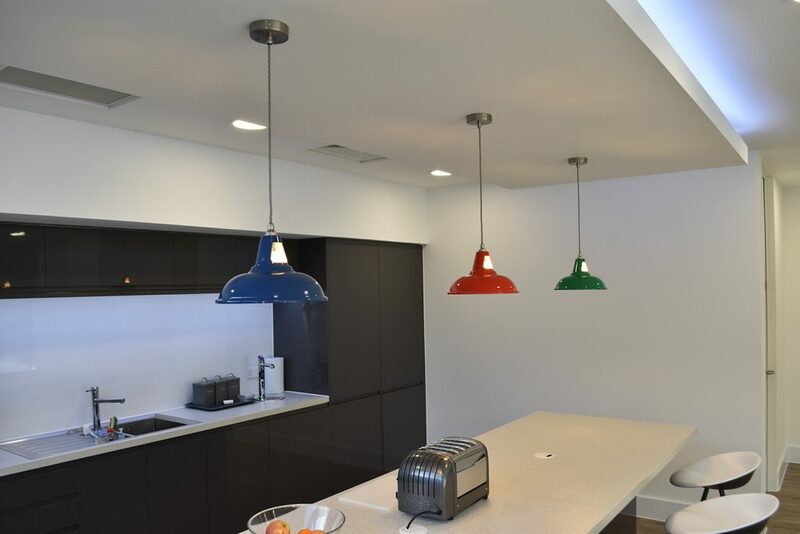 The project was nearing completion before the new year meaning we had a tight deadline to meet. 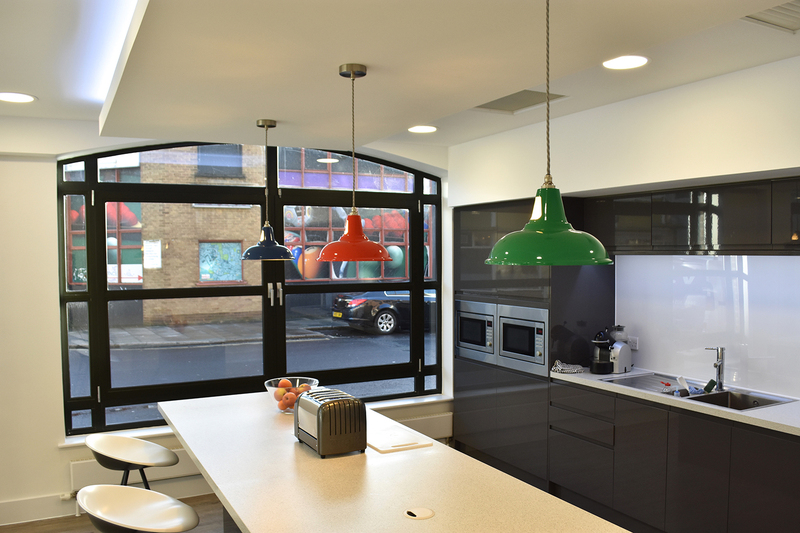 We worked closely with both the client and our manufacturers, to ensure that the shades were finished on time and to a high standard, striving to exceed the expectations of our customer. 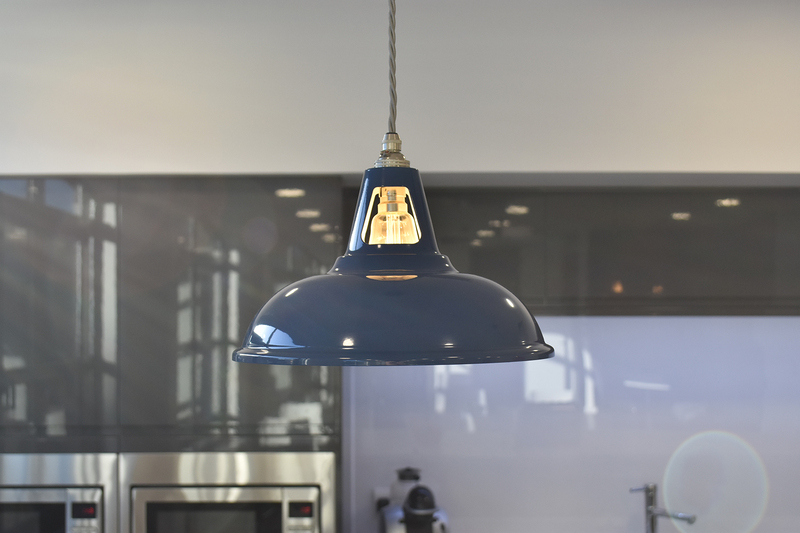 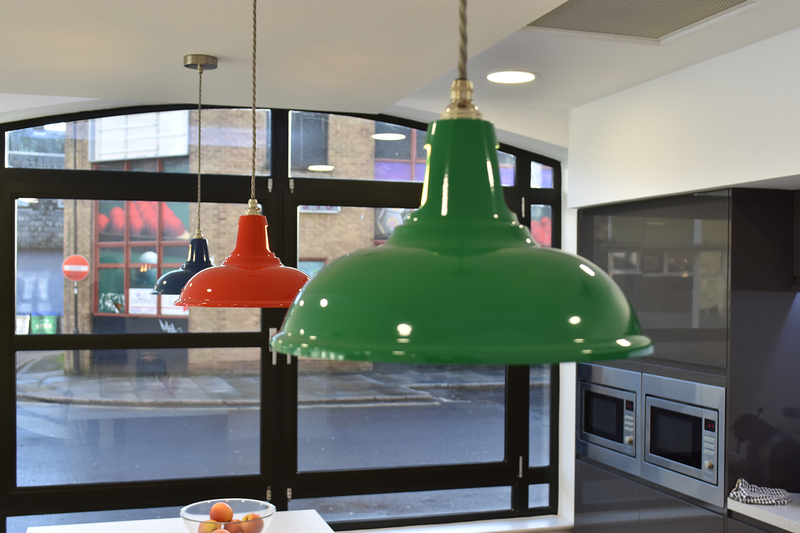 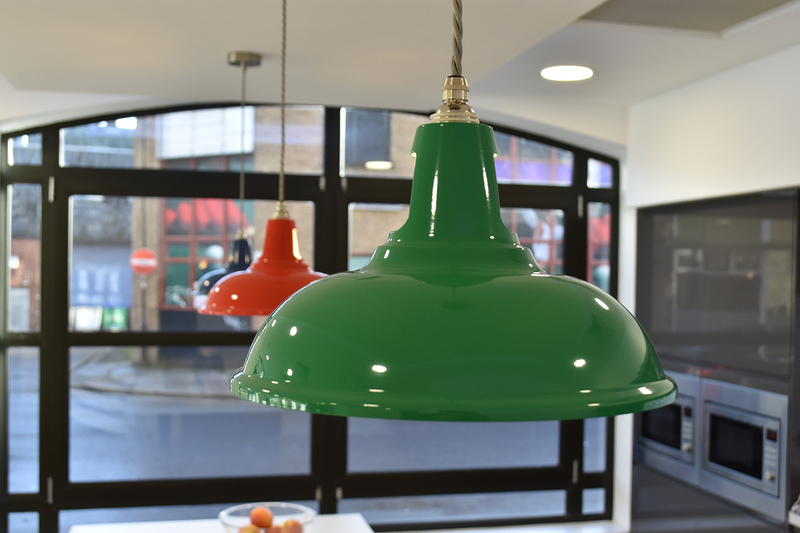 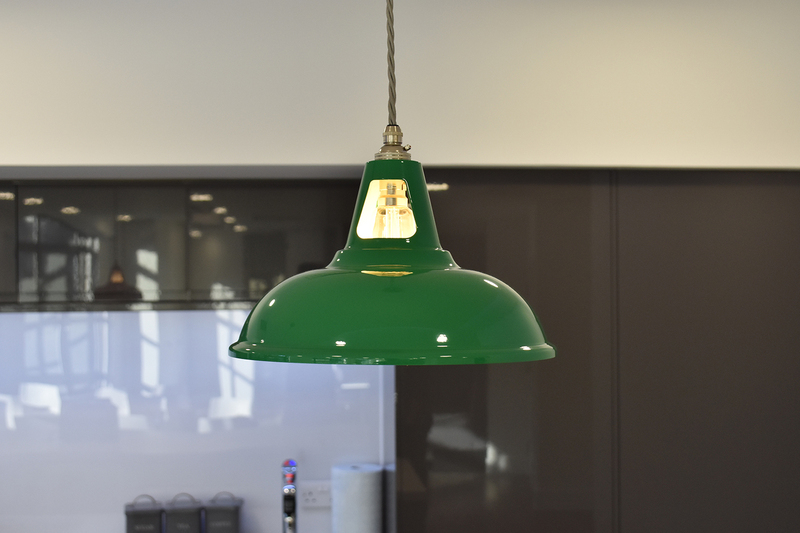 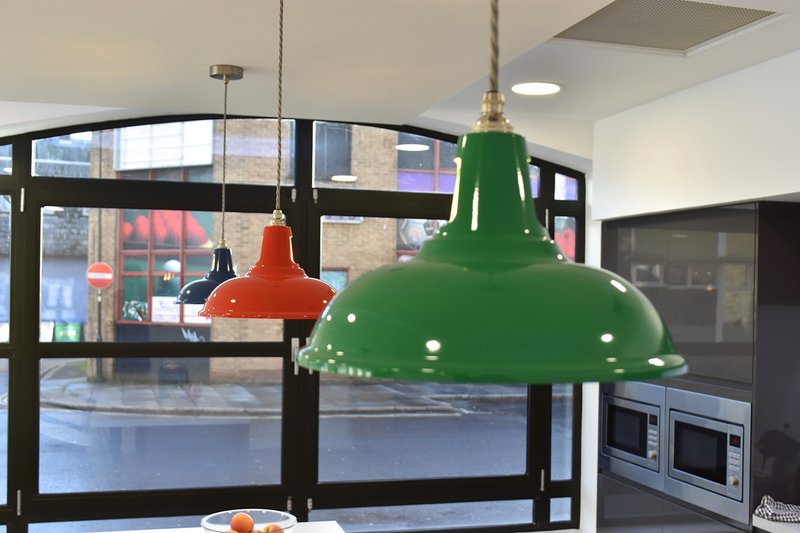 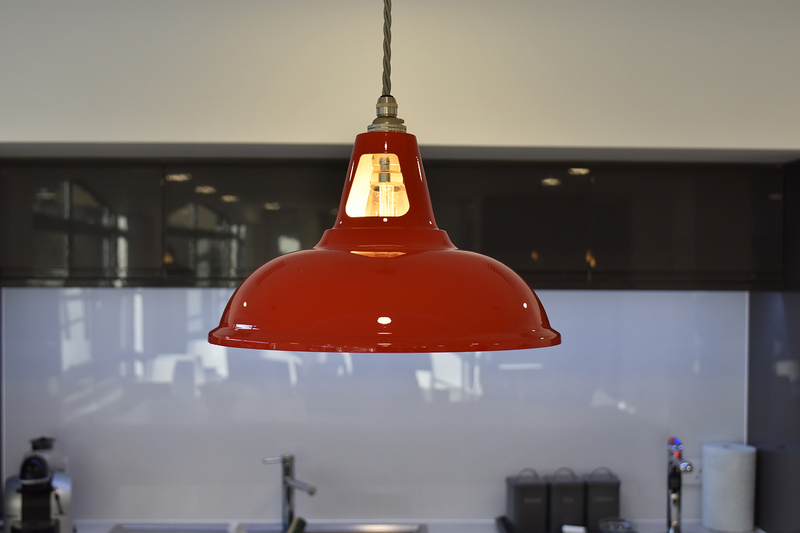 The three custom pendant lights, in red, blue and green, add a pop of colour to the monochrome kitchen space; while two more pendants, in a bespoke shade of grey, light the tables in an informal meeting area.